I was asked to teach a class at craft of comedy and found the weekend so utterly educational and invigorating i would have returned my fee (Please don't ask me to return my fee). Comedy writers rarely get the chance to commune and CoC is vital for the industry to support each other, learn from each other and find collaborators and like-minded weirdos to get together to fill the world with joke babies. 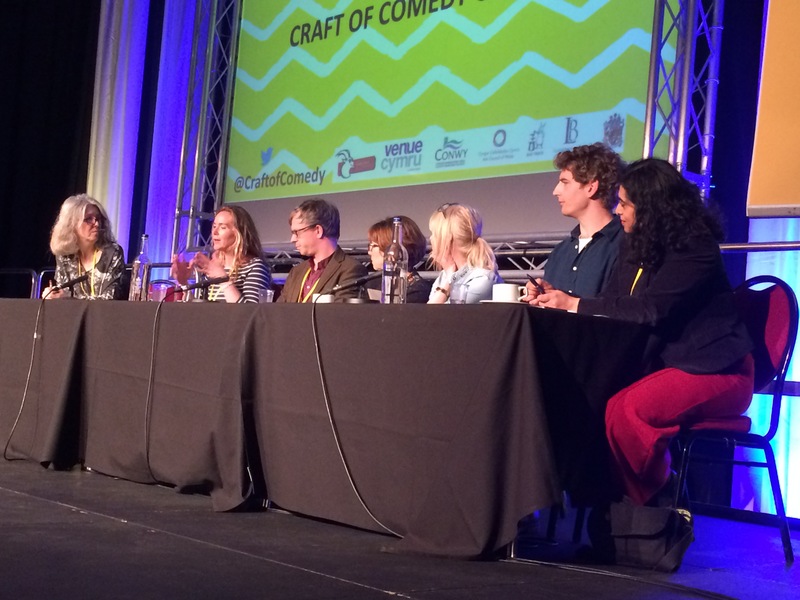 The Craft of Comedy UK conference is rapidly becoming a key fixture for the comedy industry. There’s a growing buzz about it which builds year on year and I’m already looking forward to 2018’s event, rubbing shoulders with other writers, producers, execs and channel controllers. I was extremely impressed with the whole weekend. It was a very useful gathering of industry professionals and those at the start of their careers. The people I spoke to found it enormously helpful and were without exception keen to come again. I think it's very important that events like this take part outside of London. I can see Craft of Comedy going on to become a major event on the TV and radio industry calendar. The annual Craft of Comedy Conference is a marvellous event. It brings together participants from all areas of comedy from novices to veterans and gives them the rare opportunity of learning from each other and taking away a multitude of fresh ideas about both the creative and business side of their industry. Conferences are rarely so enjoyable or so fruitful. I have attended several of the Craft of Comedy conferences. I join as a panellist or chair, but also as a member of the audience. I leave full of ideas, new contacts and much food for thought. It was a pleasure to be part of what I thought was a fantastic opportunity for comedy writers to gather and exchange knowledge. Writers I spoke to found it to be a terrific environment in which they could learn more about the craft of comedy. Less corporate than some events and all the better for it.. And in such a magnificent location! The opportunities it affords both seasoned comedy writing professionals and aspiring writers are second to none: opportunities for learning, growth, networking and so much more. It is the only conference of its kind in the UK and is greatly needed. I was delighted that here was something so relevant and interesting, with such high calibre presenters and speakers, and astonished that an event of potentially international stature had turned up on my doorstep in North Wales, rather than London or Manchester. I actually can't speak highly enough of it. The workshops were very good and the script conference with Script Angel was particularly useful, helping me to identify strengths and weaknesses in a comedy script which I have since rewritten. 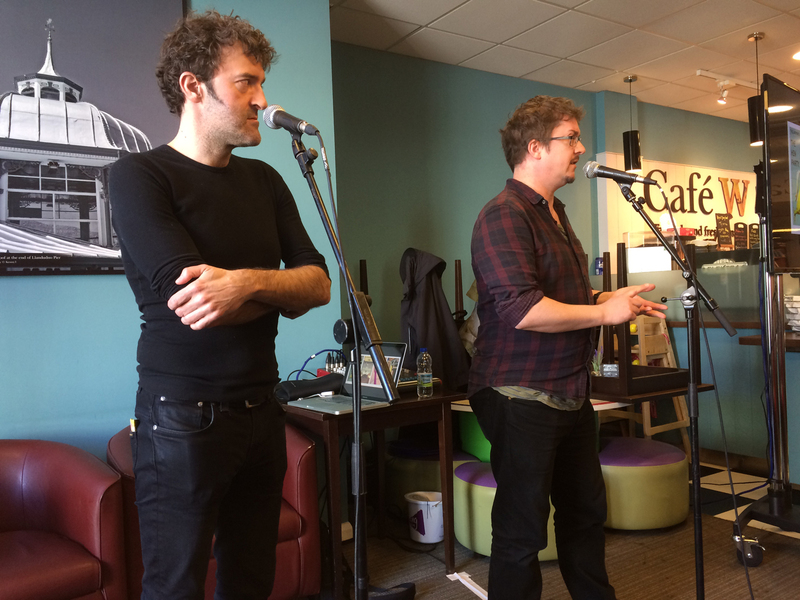 Being in that environment with other writers and professionals from different areas of comedy gave me a real buzz and the motivation to carry on writing. Excellent value for money. I can't praise it enough. I found the conference to be tremendously enjoyable and educational. I was amazed at the number of experienced practitioners who were in attendance and ready to talk to the even greater number of newbies like myself. The formal sessions were eye-openers and the informal time made for excellent networking. I was particularly impressed with the incredible calibre of the speakers, and the amount and types of workshops - it really showed that feedback from previous events had been listened to. I do feel that the event could be far more heavily marketed and promoted down south - I willingly travel up from London to attend because the event is such amazing value for money, with so much to offer. Technology has, to a degree, atomised the comedy industry. Writing can easily be done remotely, and shows like Newsjack - the first step on the ladder for many comedy writers - takes submissions entirely by email, meaning that until you've shot that golden arrow of a sketch through the invisible hoop of a particular week's show, you're never going to meet anyone else interested in writing for Newsjack. The Craft of Comedy Conference is a useful corrective to this, an opportunity for writers, producers, performers, etc to meet face to face, without the pressure of an impending deadline, to share tips, thoughts and insight. It's crucially important for the future of comedy that newbies get to meet old hands, because we cannot reinvent the wheel every generation. I think there's great value in running an event of this nature outside of London. Not only is there the opportunity to meet and speak to people working in comedy right across the UK, but I think within the comedy community in London, you can fall into bubbles - So it's an important opportunity to meet people working in slightly different fields within the same industry - and Llandudno seems a great place to do it. It is a terrific event that is entertaining, informative and extremely inclusive. It has a broad appeal that covers comedy professionals, comedy enthusiasts and the comedy curious. The very fact that it can boast BBC R4's The Now Show, Alan Davies and Kevin Eldon is tribute to it's importance and prestige. A fine time was had by all those I spoke with. I write comedy, perform as a comedian internationally, run comedy clubs for theatres and arts centres all across Wales from Llanelli to Menai Bridge and further afield across the UK. Every year I find the Craft Of Comedy Conference an invaluable resource for networking, cross-pollinating ideas and nourishing my love of Wales while stimulating the flow of new content and widening the opportunities regionally and nationally. It's always a great weekend, and the breadth of speakers never fails to amaze me. 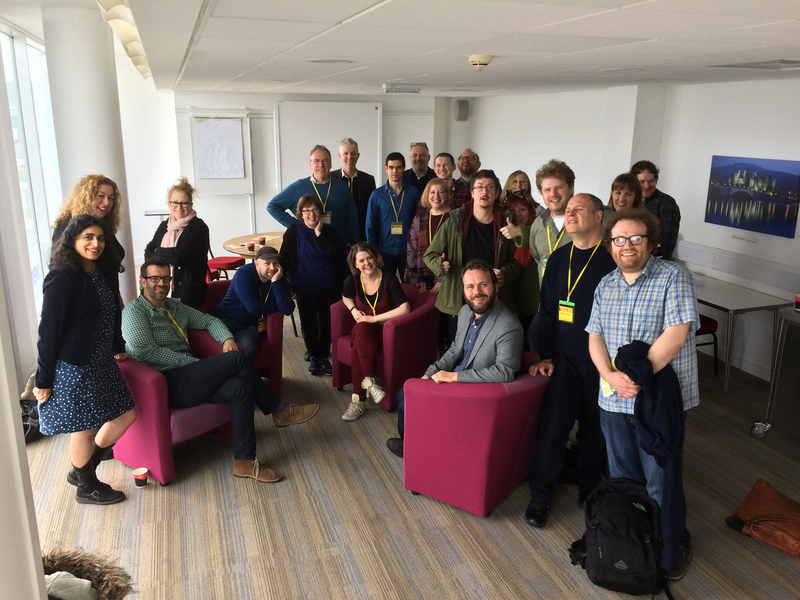 When I attended the Craft of Comedy in 2017 I was really impressed by the relaxed but focussed atmosphere in which budding comedy practitioners could meet one another and exchange information and ideas. The days were well-structured and well-attended. As a panellist it was a novelty to be asked well-informed questions by an enthused audience. The UK needs more conferences like Craft of Comedy and our TV and radio schedules would be the better for it!